When it comes to high fashion and dressing to impress, we are so happy that messy chic styles are acceptable and trendy. Not everyone has sufficient time or experience to create a complex runway inspired hairstyle before work or an event. 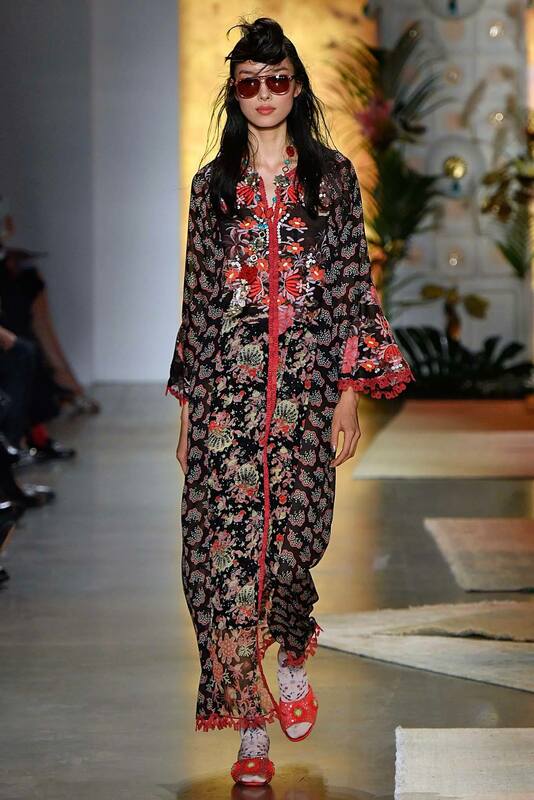 Effortless and messy styles have made frequent appearances at New York Fashion Week and we can’t wait to try them ourselves. Our current fave? The high top messy bun. 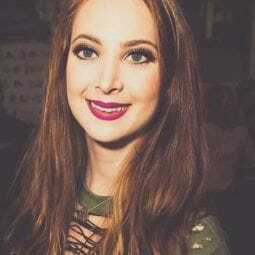 This style is perfect for a casual day or an evening event and takes little effort to create. Whether you’re a highly skilled hairstylist or a beginner, we think you’re going to love how this versatile look. Keep reading for all the products and techniques you need to achieve the high top messy bun. First thing’s first, this style looks best when your hair is either a few days unwashed or you apply some shine cream to your strands. We want this style to look lived in and carefree. 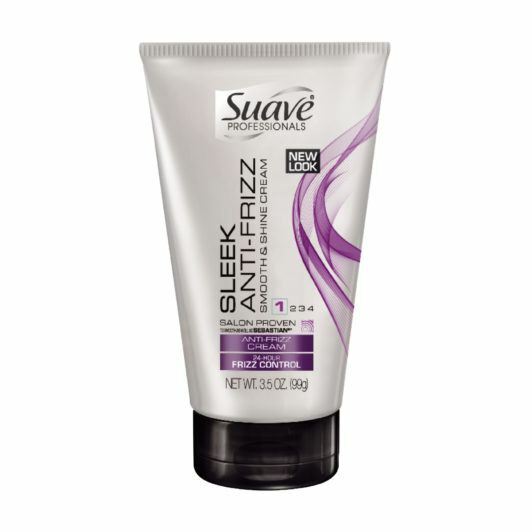 If you want to go the shine cream route, run Suave Professionals Sleek Anti-Frizz Smooth & Shine Cream throughout your hair. This cream is great for reducing frizz and making your hair silky smooth! This look looks great as a full high top messy bun or a half up half down high top messy bun. Both are beautiful styles, just go based on your preference! Gather your strands and bring them as high up on your head as you can so that the messy bun can rest right on top and not fall back throughout the day. Once secured, use some hairspray to get your strands a little tacky. 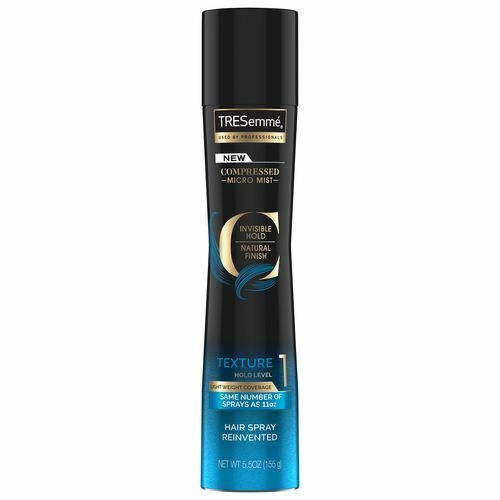 We love TRESemmé Compressed Micro Mist Hairspray Texture Hold Level 1 to give your locks a messy feel that has tons of hold. This look requires a lot of bobby pins, so make sure you’re prepared! Take your ponytail and twist it around to create a bun. As you go, secure the bun with your pins. Once completed, begin pulling some strands around to create a messy look. Pro Tip: If you want extra texture, leave the tail end of the ponytail out, bring it on top of the bun before securing with bobby pins to bring the wispy strands to the front. Give your look a spritz of texturizing spray. This is especially key if you went for the half up half down look, you don’t want to leave the rest of your hair un-styled! 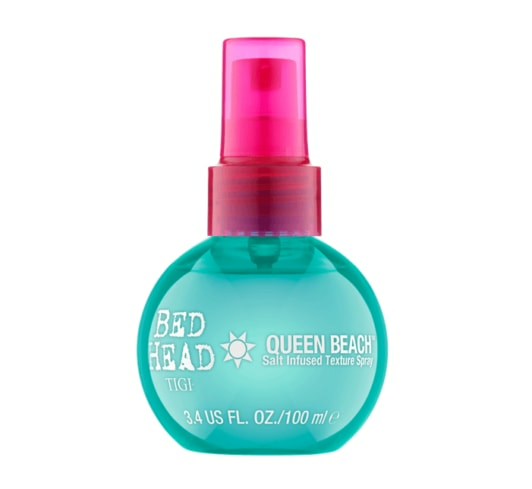 Bed Head by TIGI Queen Beach Salt Infused Texture Spray is perfect for this look. check out more high bun styles!